A black and white photograph of Reverend W.J.S. 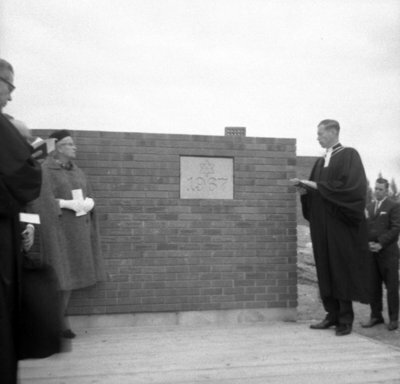 McClure speaking at the ceremony for the laying of the corner stone for the new St. Andrew's Presbyterian Church. St. Andrew's Presbyterian Church, October 1, 1967, Brian Winter. Archives A2013_004_340.